The Blitzkrieg Within: Cricket - A Gentleman's game? Not anymore. Cricket can be traced back to the 16th Century. It is said to have been played by the British Aristocrats who suggested the game be played in 'a gentlemanly manner' ,which means no sledging, cheating, body-line bowling , temper tantrums or excessive appealing. 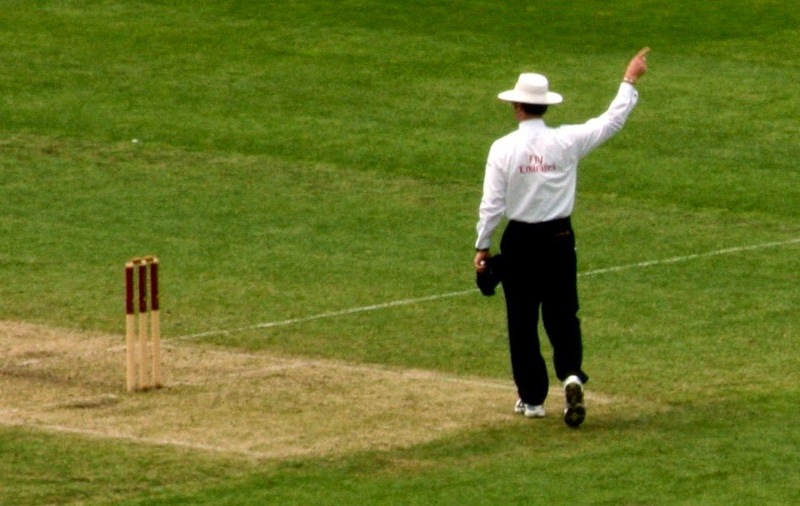 If the batsman knew he was out, he should 'walk' even if the umpire decided otherwise. Well, let's not get into the Aristocrats' meaning of a 'gentleman's game'! We have all kinds of players who would contradict each and every term in that definition! For me, a gentleman's game broadly extends to rules not favoring one but fair enough for both; batsmen and bowlers. Apparently not. The changes in the game over the past few years have made it a Batsman's game. About a decade ago, a score over 300 was considered a safe house for any defending team. Getting there was the wish of every team batting first. The psychological edge of having that score was good enough to build an initial pressure on the opposition. The advent of Twenty20 cricket in 2003 paved way for explosive cricket in terms of scoring and beating of bowlers all around the park. Even the "Free hit" is an equally demoralizing rule for a bowler. Bats are getting heavier, broader and bigger. Specials bats; like the Mongoose are being used to improve the six hitting abilities; but never a ball made which will swing, bounce or spin more. To furthermore empower the high scoring games, boundaries are being shortened but never came in a rule to extend their lengths! There has been power play (field restrictions) introduced, bouncers disallowed, flat pitches made but never a day is spared to insult and humiliate bowlers who give away a little extra runs! "T20 cricket cannot be stopped. It is a runaway train prepared to kill everything in its way. I am not joking when I say this. If we don't handle T20 cricket properly, it will crush everything in its way, including the Test and one-day formats"
The ICC came up with the "Two new balls" per innings rule.That's just cherry on the top for batsmen as the balls won't make much movement. The above coming from someone who is nowhere near an expert in bowling but true indeed. In the latest series between India-Australia (Sportskeeda article), noticed the ball running away for boundaries and wondering "How the hell is he finding every single gap!" Well that's coz there are just gaps now with the new "Only four fielders outside the 30 yard circle"
Just how much difference can one less out-fielder make? "I have this funny feeling that spinners will not have a role to play in the future." "This rule of having two new balls in an innings and not having more than four fielders outside the 30-metre circle throughout an innings has made life difficult." A restriction on the run-up of fast bowlers? Bouncers up to waist height only? Pace limit to 130 kmph? It's time to re-think the rules ICC. Make some fair rules. Change the Batsmen's game.